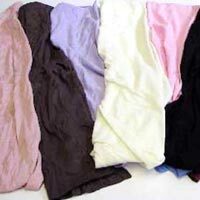 The company brings forth excellent quality Colour Baniyan Cloth Waste for the national as well as international markets. We offer wider variety of multi color as well as single color to our valued customers. These Colour Baniyan Cloth Wastes are manufactured from the best quality raw cotton fabric and yarn making them durable and strong.